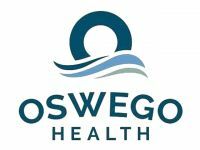 Oswego Health continues to hold it’s Healthy You event, which focuses on how women can remain heart healthy. It will be a night of education, wellness and fun on Tuesday, February 12th beginning at 6 pm at Lakeside Heart Center, Kingsford Professional Building, 177 W. 4th S. in Oswego. The Lakeside Heart Center, located at 177 W. Fourth Street in Oswego, is dedicated to the prevention and treatment of heart disease. The program is accredited by the American Association of Cardiovascular and Pulmonary Rehabilitation (AACVPR), signifying the facility offers the highest standards for cardiac rehabilitation.